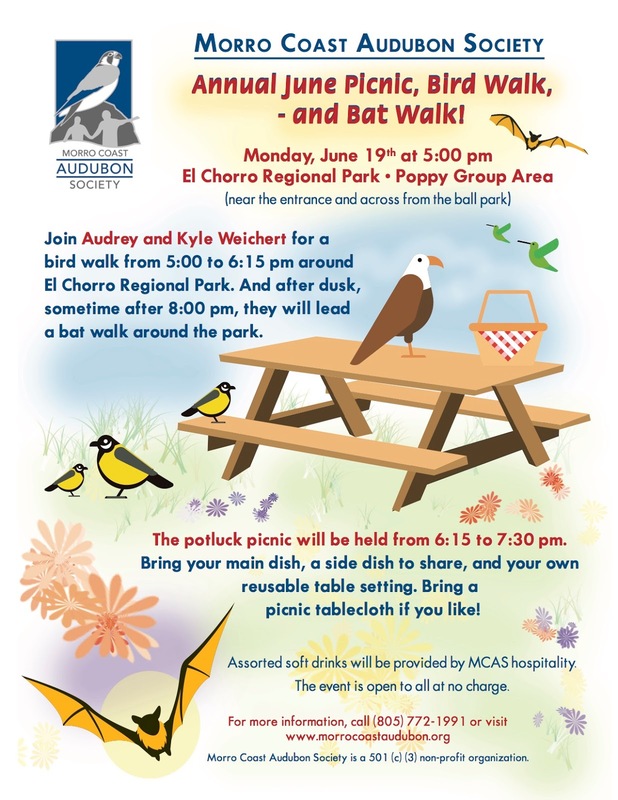 5 - 6:15 pm – Bird Walk - Join Audrey and Kyle Weichert for a bird walk around El Chorro Regional Park. 6:15 - 7:30-ish – Potluck Picnic - Bring your main dish, a side dish to share, your own reusable table setting, and a picnic tablecloth (if you’d like). Assorted soft drinks will be provided by MCAS hospitality. This no charge event is open to all, of any age. 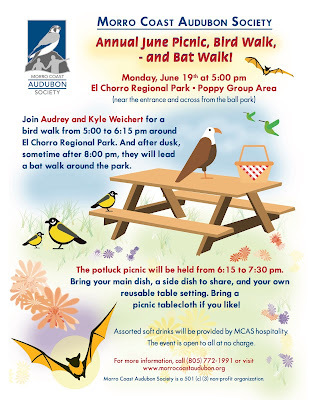 ~8:00 – Bat Walk - After dusk Audrey and Kyle will lead a bat walk around the park. Come and join us for FOOD and FUN!